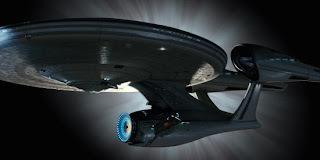 Science Fiction Geeks - Scifi News: Avatar and Star Trek nominated - this time for writing awards! Avatar and Star Trek nominated - this time for writing awards! The award nominations for Avatar and Star Trek keep rolling in. This time, the two movies received nominations from the Writers Guild of America. How many awards will these two movies get at the end of award season? LOS ANGELES, NEW YORK -- The Writers Guild of America, West (WGAW) and the Writers Guild of America, East (WGAE) have announced nominations for outstanding achievement in writing for the screen during the past year. Winners will be honored at the 2010 Writers Guild Awards held on Saturday, February 20, 2010, at simultaneous ceremonies in Los Angeles and New York. - The Hangover, Written by Jon Lucas & Scott Moore; Warner Bros.
- Up in the Air, Screenplay by Jason Reitman and Sheldon Turner; Based upon the novel by Walter Kirn; Paramount Pictures" "